San Diego Habitat for Humanity is pleased to announce that it has been certified as a Service Enterprise. A Service Enterprise is an organization that fundamentally leverages volunteers and their skills to successfully deliver on their social mission. SDHFH has been recognized for the outstanding engagement of volunteers like you in helping to make the homeownership dreams of hardworking San Diegans a reality. With this certification, SDHFH becomes one of the first organizations in California to be recognized as a Service Enterprise by CaliforniaVolunteers, the state service commission in California. 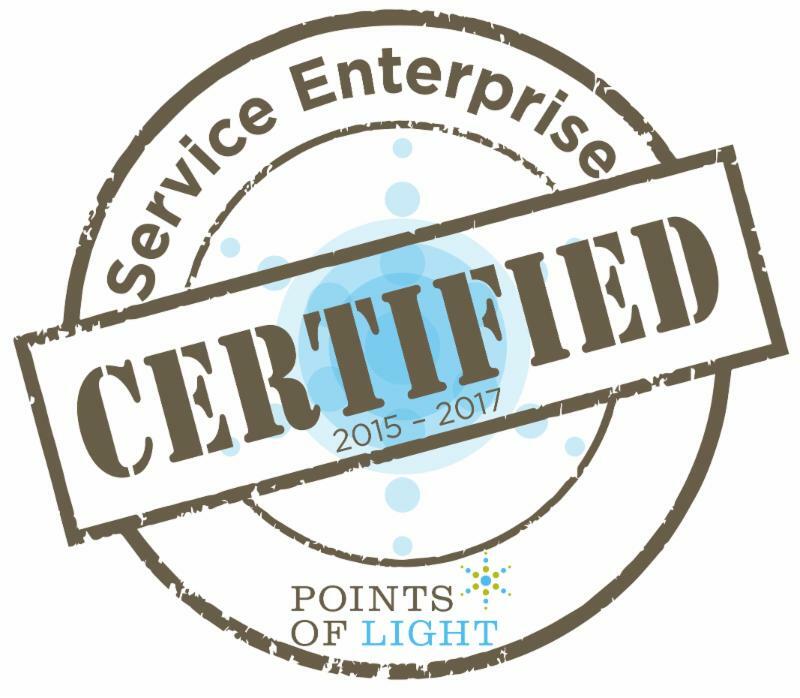 Less than 15% of organizations nationwide can be characterized as Service Enterprises, and we are honored to receive this distinction. Research conducted by the TCC Group, a national program and evaluation firm, found that organizations operating as Service Enterprises outperform peer organizations on all aspects of organizational effectiveness, and are more adaptable, sustainable and capable of scaling their work. For every $1 invested in effective volunteer engagement, Service Enterprise organizations can expect up to $6 in return through more effective program delivery, which represents a 600% return on investment. SDHFH completed an extensive assessment, training/consulting, and certification process that led to this recognition. By achieving this level of excellence and certification, SDHFH is now better equipped to utilize the time and talent of volunteers in continuing our mission to help offer a hand up, not a handout, to San Diego families. For more information on how you can get involved with SDHFH, please visit Volunteer Hub or contact Chris Orkwis at chris.orkwis@sandiegohabitat.org. For further information regarding the CaliforniaVolunteers Service Enterprise Initiative, please visit: www.CaliforniaVolunteers.org.